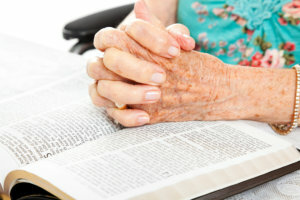 It is important to never disregard the spiritual domain when caring for an elderly loved one. Just because one is a senior doesn’t mean they no longer have any room for spiritual growth. On the contrary, there is still much growing to be done, especially when it concerns this aspect. As the body breaks down, the spirit continues to grow, expand, and renew. Spiritual growth helps a person gain a whole new perspective – about themselves, about life, and about what makes them happy. You may not realize it at first because of focusing all your efforts into staying physically healthy or recovering from your illness, but with a specially-trained caregiver from a well-respected homecare agency such as Lowenhill Home Care Services, you’ll soon realize that there is so much more to care than the physical, emotional, and psychological aspects. While they may all be interconnected in some way, it is vital to pay particular attention and focus to all, including spiritual care. Spiritual care means being able to connect with spiritual support systems. Seniors require regular fellowship and companionship from other believers in order for their faith to remain strong. While the complications of old age may stand in the way, it is essential for you and all the other family members to make an effort. Become the fellowship and spiritual support system your loved ones need by talking to them about their faith and helping them remember their devotion to the Lord. A Good Listener. Listen as your loved one shares their stories. An Excellent Encourager. Touch your loved one’s heart with tender words. Practical. If your loved one can’t make it to church, take the service to them. Lowenhill Home Care Services endeavors to provide a full range of homecare services that are structured around the unique and changing needs of our clients. We recognize the importance of spiritual care and know how crucial it is to an individual’s overall care at home. Now more than ever, spiritual growth matters for your senior loved ones! For more on our services, you may contact us at 724-788-1072 or send an email to barb@lowenhill.com. You may also visit our website at www.lowenhill.com.